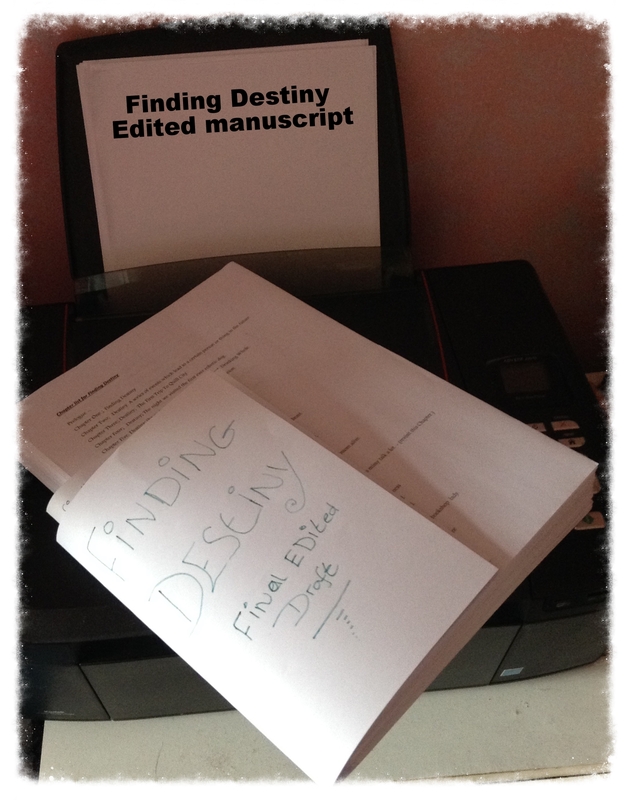 The monster printer finely let me print out Finding Destiny’s edited manuscript, after hours of it snatching the paper and crunching it, before spitting it out. It took me nearly five hours to have one completely printed manuscript, needless to say by the time I had finished printing it. I no-longer wanted to even look at the printer. However here it is ready to go in its own folder and be placed on top of my book-case for now. Today I started having a go at formatting my manuscript into a paper-book size. I find it interesting to learn new things, so thought why not have a go? See what it looks like and what goes into it. I downloaded a template and a read book that had some really great advice to point me in the right direction. I also found watching YouTube videos on the subject a helpful visual. It’s good to try new thing and learn when you can about each part of the process. I will update this page with all novel related stuff as I go. If you’re giving paper-back formatting a go, what helped you learn how to get it just right? Thank-you hunni 🙂 I hope you’re well. Wow! Congratulations on getting your novel printed. It looks fantastic. It must have been interesting too to see what it looks like in book size print. It sure is interesting to play about with it in book size. It is so exciting to finally see the many, many words on your computer in the pages of a book. This will be a best-seller. It sure is exciting to see them words on pages and all coming together. 🙂 Awww thank-you. That’s great. I’m afraid that when it came to formatting my first ebook I screamed for help from my friends.